Thinking about advertising with WrestlingNewsSource.com? Do you have a professional wrestling or Martial Arts/combat sports website? Looking for a good advertising partner to help your site get more visitors? Look no further than WrestlingNewsSource.com! 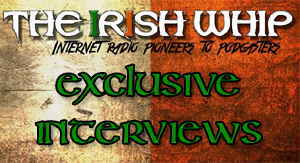 WrestlingNewsSource.com, or 'WNS' for short, started out way back in August of 2006 when we were Wrestling-Radio.com. We've come a long way since then and advertising has been a huge part of our growth, so we understand what it means to have good advertising partners. As of right now, our Facebook page has over 530,000 Likes and our Twitter page has 85,000 Followers! Our homepage receives thousands of hits a day and millions of page views each month! WNS features professional wrestling news, rumor and live event coverage for WWE Raw, SmackDown Live and pay-per-view with up-to-the-minute play-by-play. We cover WWE, Impact Wrestling, Lucha Underground, NJPW, Ring of Honor and more. We also broadcast a weekly podcast which has featured some of the biggest names in the industry such as Roman Reigns, Mark Henry, Cody Rhodes, Mick Foley, Diamond Dallas Page, Booker T, "The Million Dollar Man" Ted DiBiase, Ron Simmons, Ken Shamrock, Titus O'Neil, Rob Van Dam, Jeff Jarett, Victoria and more. Whether your website is about professional wrestling, Martial Arts/combat sports, or other WNS would be happy to advertise you! - Individual Banner: Rates start from $150 per month. These feature on the main site and multiple other pages. - Intermediate Package Deal: Rates start from $250 per month. These feature on the main site and our mobile site. - Advanced Package Deal: Rates start from $350 per month and upwards. This package is tailored toward individual campaign needs and includes, website, mobile and use of our social media. Email for further details. - Giveaway package Deal: Do you have a product you want to promote? We can help! In the past we have set up successful giveaway campaigns through our site giving our readers the chance to win a product such as (DVD's, Books, T-Shirts etc) The requirement is for the entrant to follow the promoters social media such as Twitter and Facebook or join a mailing list - A great way to increase social media follows and gain repeat engagement whilst promoting your product. - Other? - We're open to all other advertising opportunities. Email us with an inquiry. Please contact, Ben Kerin at benjkerin@gmail.com.